We find this photo of classmate Pearly Jaramilla so dramatic that we decided to post it here. Walang kupas, di ba? Visit her Facebook account to see more glamor shots of hers. And, by the way, Pearly is one of the peps coming home next month. We are finally posting the photos of JP and Kei Ceralde’s weddng held last May 7 at the Oasis Garden in Quezon City. Representing the peps were Lito Parungo, Keith dela Cruz and Ruby Gaviola-Guevarra, who all stood as principal sponsors. To JP and Keitie, our congratulations and best wishes to you. To view more photos, please visit our online photo album. Our thanks to Noel Guevarra for being our “official” photographer that day. Attention, peps! 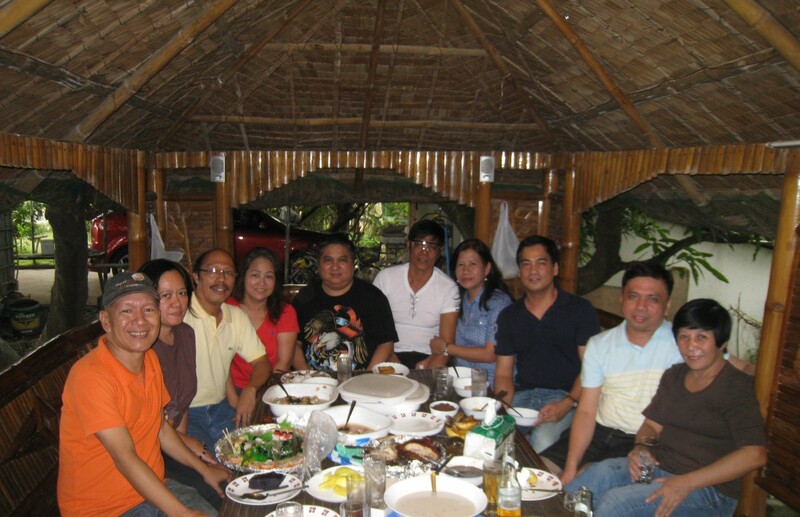 We shall be having a lunch date this coming Saturday, May 22, to say hello and goodbye to our visiting classmate Lito Parungo and to celebrate Keith dela Cruz’s birthday. Let’s meet up in front of Trinoma’s movie ticketing counter at 11:00 a.m.We have also invited Pearly Jaramilla and newlyweds JP Ceralde and Kei Jaramilla to join us. Remy Tuazon, as usual, is ready to answer your questions. Kei Sia, Pearly Jaramilla’s daughter, doesn’t know yet we grabbed this video from her Facebook account. Watch her here singing Hoku’s “You first believed”. Kei is tying the know this May 7 and we wonder if this is the song she and fiance Jp Ceralde have chosen for their wedding? Kei, OK s’ya. Pwede! With this post, we would also like to extend our greetings to Pearly who is celebrating her birthday on January 30. We are taking you to a tour of Pearly Jaramilla’s brand new nest in Bay, Laguna. We all know Pearly’s many struggles in life and we are glad she has finally have her dream house, the fruit of her years of working in Japan. Our friend Pearly Jaramilla is due to arrive today, December 29, from Japan to spend New Year in the Philippines. She will go straight to Bay, Laguna, to be with her daughter and son, Kay and Lloyd. Welcome home, Pearly!